Looking for a way to spend your Earth Day weekend? Want to learn more about local ecosystems? Want to find out what the ESRM Restoration Capstone teams have been up to? 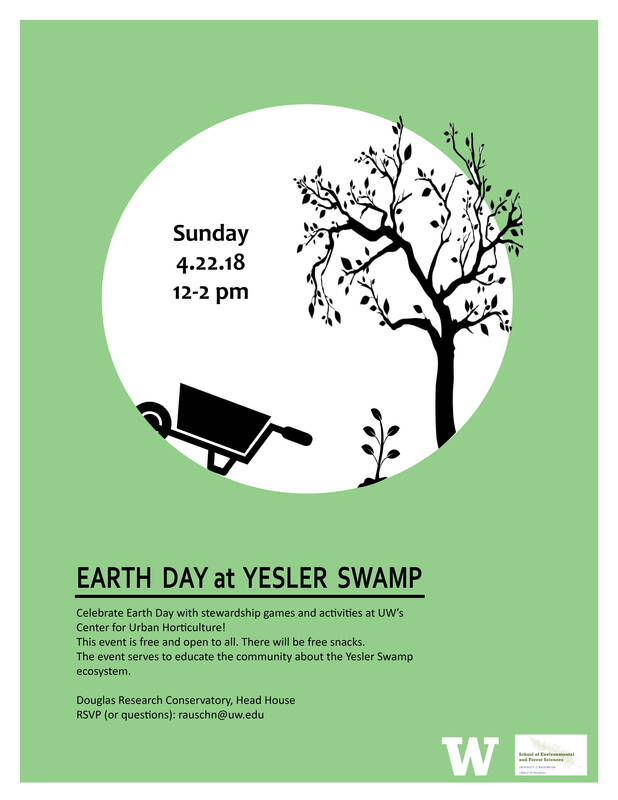 If so, join us at Yesler Swamp this Sunday 4/22! (we will be meeting in the Douglas Research Conservatory head house at 12pm. There will be stewardship games, activities, and free food! The poster is attached, with more details. Contact rauschn@uw.edu with any questions, or to RSVP!